All of the animals that were created are unique in their own way. Each character is introduced in a way where children hear the Tall Tale that explains how each animal transformed into the one that they are today. 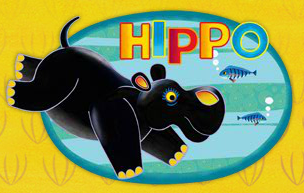 The hippo is all black with yellow and orange on her ears, nose, and feet. Her eyes have bright blue eyelashes for additional pops of colors. This hippo used to have hair, and she was always extremely hot. All that she ever wanted to do was swim in the cold water at the waterhole, but no one would let her. One night, a spark from a fire set the hair of her tail on fire, and she had no choice but to enter the waterhole. When she finally got out of the waterhole, she didn’t have any hair left anywhere, but no one ever complained when she wanted to go swimming again. 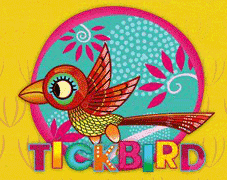 Tickbird is one colorful and intelligent bird. She never enjoyed it when hippo was in the waterhole, because of all of the splashing, so they were not considered friends for a while. However, Tickbird decided to dare Hippo to a friendly challenge of who could drink the most water. Tickbird only won, because she used the tides to her advantage during the challenge. She teaches children how to think creatively. After the challenge, Tickbird and Hippo could be cordial to each other in a friendly way. Lion is one courageous creature who stands up to bullies. His dark mane has gold glistening through it, which makes him look like a king. 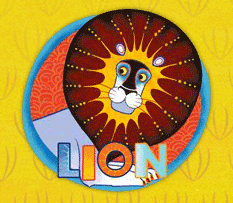 At one point, Lion believed that he had lost his roar until he entered the Great Cave of Tinga Tinga. Once he roared into the cave, and the sound came back to him, he knew that he had nothing to worry about at all. He now continues to roam Tinga Tinga using his roar to help any animal in need. 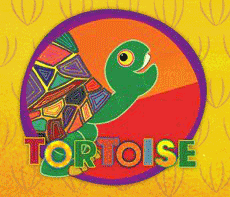 Tortoise has a brilliant and colorful mosaic on his back. It never used to be that way, though. One day, he had been trying to reach a Feast quickly, and a few birds helped him out by making him wings. He ended up reaching the Feast before the birds, but he ate all of the food before they got there. This did not make the birds happy, so they tore his wings off, and he fell to the ground and shattered his shell. All of the animals were nice and put his shell back together, but he learned that speed is not that important. Monkey manages to swing from tree branch to tree branch now instead of playing on the ground like he used to. He had to stop playing on the ground because he lied to Crocodile when he needed Crocodile’s help. Crocodile now spends his time trying to grab Monkey from a tree branch as he is swinging by. 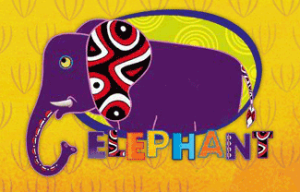 Elephant never used to have a nose, so he couldn’t shoo away flies or rub his own belly. The crocodile wasn’t being nice to Elephant one day and snapped his snout onto Elephant’s nose and pulled. This is when Elephant gained his trunk, and he is now able to make trumpet sounds whenever he wants to. All of these characters come together in the DVDs to teach children about many different things including everything that they need to know about animals. These DVDs are filled with short shows that last approximately ten minutes each and each one contains a simple message that children need to hear. Every child will love watching these and they will not even realize that they are learning at the same time. 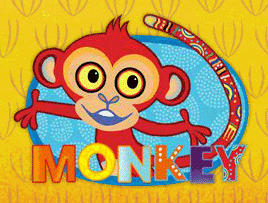 Every episode is filled with fun and entertaining music that children and adults will love to dance along to. Adults should be aware that if their children are sitting down and watching Tinga Tinga Tales, that they may find themselves sitting right next to them as they are both mesmerized by the characters, colors and lively music. These DVDs can provide hours of entertainment for children and adults alike. In the Tinga Tinga Tales Season 1 DVD, there are twenty-six fun-filled episodes for children to watch. During each episode, children use their imaginations as they listen to the story that is being told. At the end of each one, Lion asks Monkey what he just learned from listening to the story. In the Tinga Tinga Tales Season 2 DVD, there are an additional twenty-four episodes that children can watch while learning more about animals. Every child will be entertained and riveted to the television with the colors and intricate artwork that is used.